Communication Management Services is an independent provider of payphone services in the northwest region of the U.S.A.
Communication Management Services offers the one-stop solution to all your payphone needs. 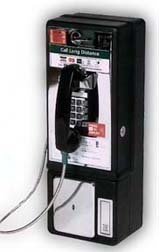 Our state-of-the-art smart payphones offer the most reliable payphone service available. We pay the most competitive commissions available in today's market. If your place of business requires reliable, state-of-the-art payphone service, we may be able to provide it at no cost to you... and you can receive generous commissions.